Courtesy of Coach House Realty LLC. 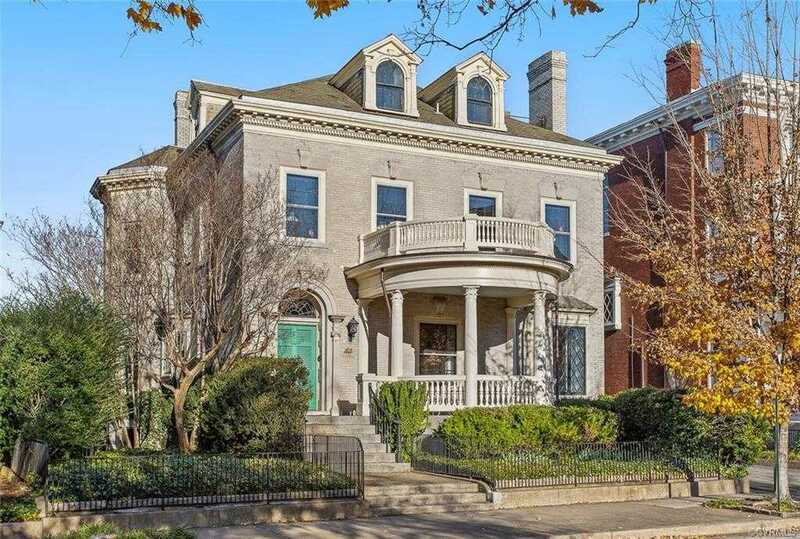 This magnificent Colonial Revival home, situated on a large DOUBLE LOT in THE FAN district, was painstakingly restored by a local architect, specializing in historic preservation. FULLY RENOVATED over the course of 3 years, this home features updated kitchen & baths, $140,000 GEOTHERMAL HVAC system, UPDATED PLUMBING & ELECTRICAL, gorgeous hardwood floors throughout, 6 fireplaces, & expansive floorplan w/ large rooms throughout. 2300 SQ FT UNFIN BASEMENT, W/ 10 FT CEILINGS, could easily be finished. Rare, 4-CAR COTSWALD GARAGE/CARRIAGE HOUSE, w/ unfinished 2nd level (architectural plans have been drawn & will be provided, to finish second floor of carriage house). Large 3rd floor features 1 bedroom, 2 full baths & kitchen, great room & laundry room. It can be used as an Au-Pair suite or apartment, as it has a separate entrance, as well as a primary entrance into home. Heated bluestone patio (never slide on ice again) leads to the large garage. DOUBLE LOT W/ OFF-STREET PARKING FOR 9 (+) VEHICLES! ELEVATOR! This is not your typical renovation..EVERYTHING has been thought of & renovated accordingly, to fit w/in the period this home was built. Please, send me more information on this property: MLS# 1839345 – $1,999,950 – 1812 Monument Avenue, Richmond, VA 23220. I would like to schedule a showing appointment for this property: MLS# 1839345 – $1,999,950 – 1812 Monument Avenue, Richmond, VA 23220.